/Blog/What Are The Benefits Of Infrared Heat? Posted on July 6, 2018 by admin wrote in Mobility. It has 0 Comment. 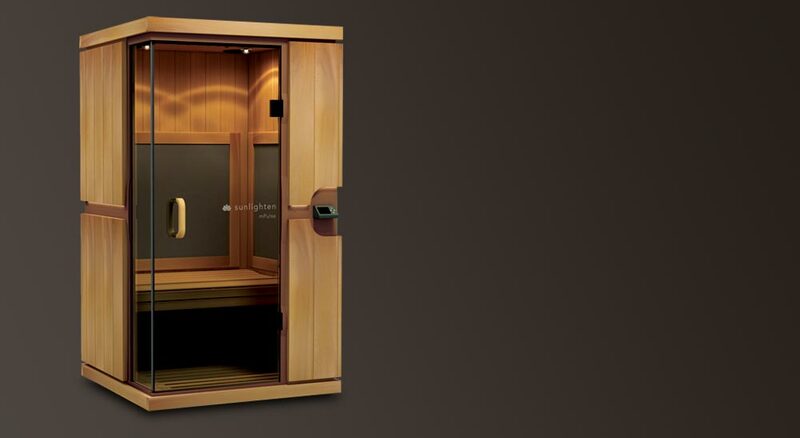 Infrared saunas have increased in popularity as an important tool in overall health and wellness. What is all the sweat about? 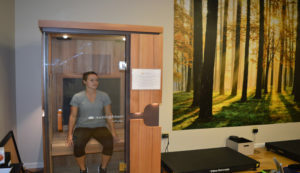 Below are 5 reasons to incorporate infrared heat into your conditioning program. Sweating is good for you. Seriously, sweating is one of the body’s safest and most natural ways to heal and maintain good health. Researchers have long told us how the body sweats out toxic substances, including heavy metals. As long as you maintain proper hydration, the more you safely sweat, the more toxins you’ll expel from your body. And what is one of the safest and most effective methods for inducing a detoxifying sweat? A sauna, of course. Infrared sauna weight loss sessions were shown to burn up to 600 calories. During a sauna weight loss session, core temperatures increase. The body has to work hard to cool itself, causing a healthy sweat. Using an infrared sauna increases heart rate, cardiac output and metabolic rate, burning more calories, leading to more weight loss. The elevation in body temperature from infrared saunas use also produces an increase in blood flow that mirrors the benefits of a passive cardiovascular workout. Regular infrared sauna use – especially in the mid-infrared range – has been shown to significantly stimulate blood flow, even after your health sauna session is completed. A cardio workout has never been so relaxing! Another benefit of improved circulation from infrared sauna use is quick muscle recovery – after your regular workouts. The increased peripheral circulation from our infrared heat reduces inflammation, decreases pain and speeds healing, all important steps in helping the body recover from strenuous activity. The DHF Recovery Zone has chosen to align with Sunlighten for our infrared heat therapy. Located in our Recovery Zone, individuals can book 30 minute sessions with 7 wellness programs. Each session perfectly blends the Near, Mid and Far infrared wavelengths and produces the benefit you need. Customize your session for a personal sauna experience or choose from one of the pre-set options: cardio, detoxification, pain relief, relaxation, weight loss and skin health. How Do I Train For A Mud Run? Dynamic Golf Series Episode2: What Is A Golfer’s Subtalar Joint?